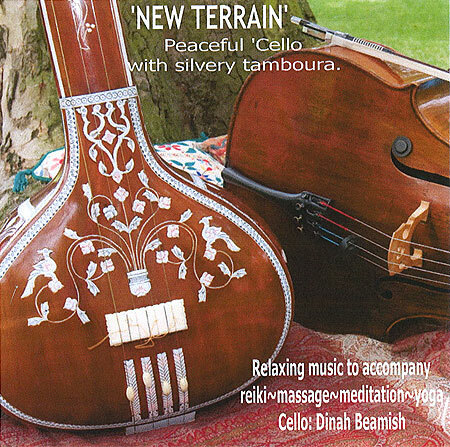 Dinah was asked to play at a reiki gathering after she was heard improvising over the tamboura, the Indian drone instrument. Many listeners asked her for an album at the end of the session, on hearing this unusual sound. This resulted in ‘New Terrain’. The album lasts for about an hour and consists of twelve, four to five minute improvisations in every key of the diatonic Western scale. All slow and peaceful phrases, this music is designed to help ‘unwind’.